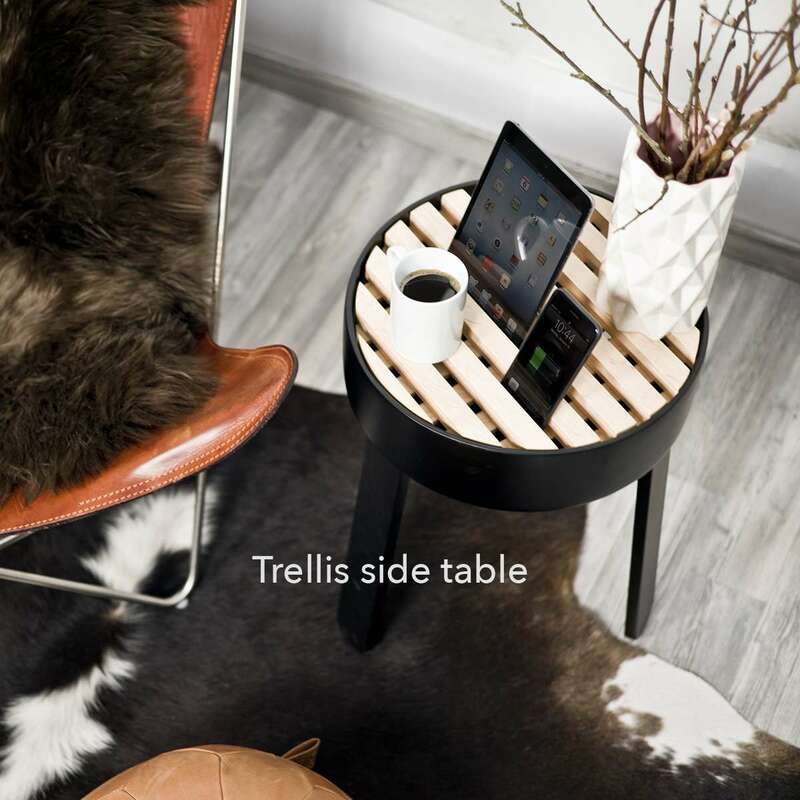 EMOH introduces Trellis from Muemma. 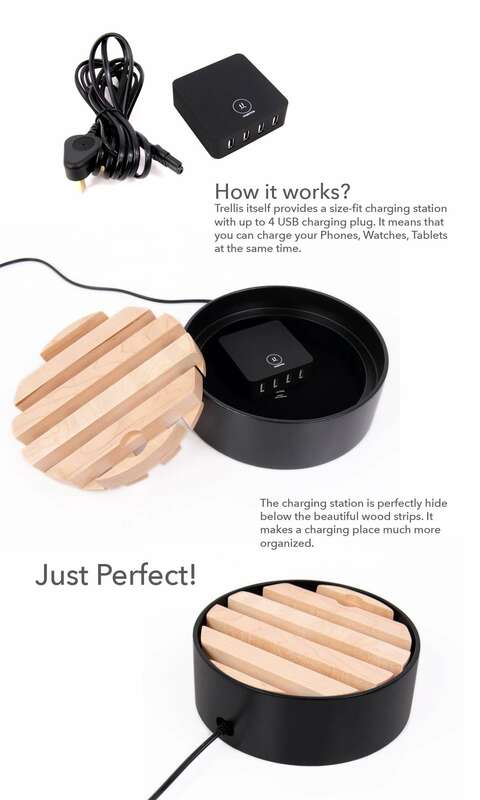 The charging station is perfectly hide below the solid wood strips. 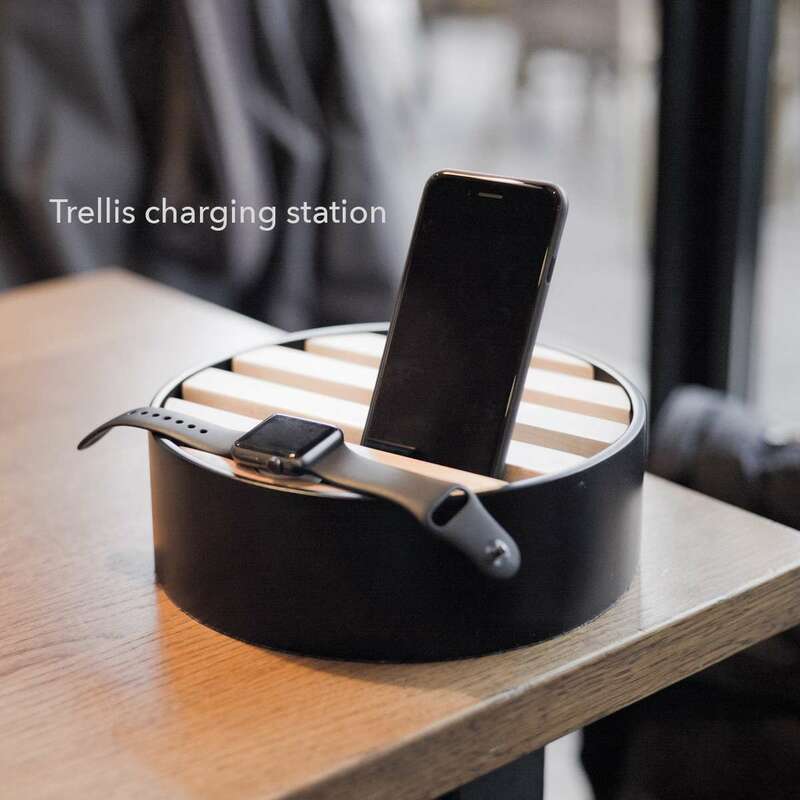 Trellis provides a brand new ideas of a clean charging place. 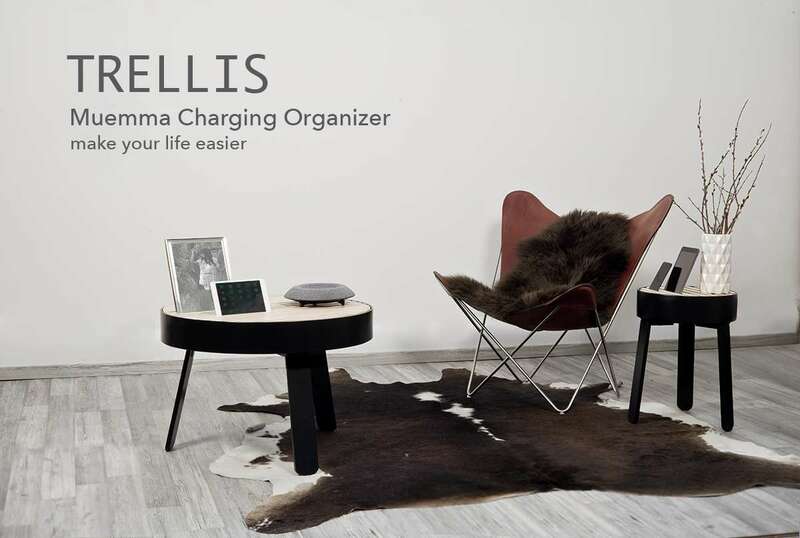 You can charge your phones, watches and tablets at the same time without showing up the messy charging lines. 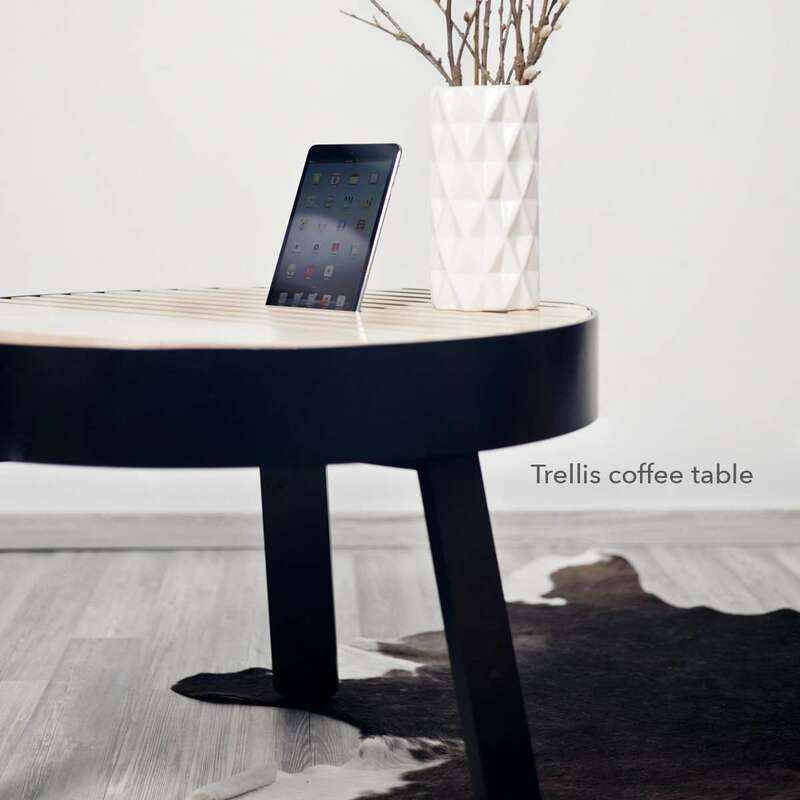 This is so perfect for people who don't love to show their mess to vistors!